You should always be wary of links sent over email and social media – even if they seem to come from a trusted source – but it's worth being particularly suspicious this weekend: iOS security researcher Sabri Haddouche just discovered a new block of web code that can crash and restart an unsuspecting iPhone. The carefully configured CSS code can use up all of the resources of a device, causing the core of the operating system to panic and shut down in the interests of self-preservation, TechCrunch reports. It seems to work on both iOS 11 and the iOS 12 beta. There's no way to actually run any malicious code using the exploit though, so you won't find any of your apps or data compromised as a result of visiting one of these webpages. You might, however, find your iPhone crashing instantly after you've opened up what looked like an innocuous web link sent by one of your contacts. You can dig into the source code of the exploit for yourself if you know your CSS and want to see exactly how the trick is carried out. It only seems to affect Safari on iOS, so other browsers and browsers on Android smartphones are apparently safe for now. Apple hasn't commented on the bug at the time of writing but we will update our article here if there is any response. 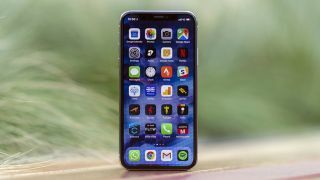 A fix is likely to be rolled out as part of a minor IOS update in the not-to-distant future – the full public release of iOS 12 is rolling out on Monday, September 17, but a repair job for this issue will have to wait for a future update. It's nothing to get too worried about, but it is something to watch out for if you're running an iPhone. If you really want to see how the code can bring down your device with a bit of kernel panic, follow the link in Sabri Haddouche's original tweet here... but you do so at your own risk.